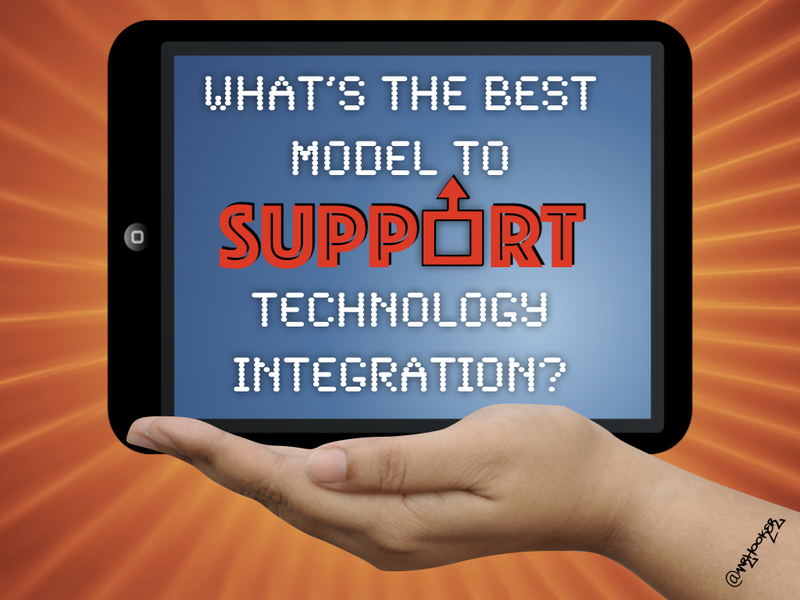 How Does Staffing Affect Technology Integration & Support? There were 28 districts participating in the survey, primarily from Texas. Of those the largest had a student enrollment of 45,000 and the smallest had just 362 students. 12 of the 28 districts surveyed (43%) had a 1:1 program on one or more of their campuses. There was a combined student enrollment of 256,000 students with over 210,000 devices being supported. The majority of those responding to the survey were either technology directors, CTOs, or instructional technology coordinators. I recognize there can be a level of bias when it comes to evaluating your own level of support or integration, but I found these answers to be extremely realistic and the outliers tended to cancel each other out. In fact, taking that bias inflation out of the results actually make the findings even more impactful in some ways. In general, districts fund two technology support technicians for every one of their instructional technology specialists. As the survey data revealed, this has a direct impact on how well they are supporting technology (most felt they did a strong job of supporting technology) to how well they are integrating it (most felt they did a weak or adequate job of integration). A majority of districts (69%) surveyed felt they had adequate to excellent level of support for technology. By contrast, only 41% of districts felt they were integrating technology at least adequately with only one stating they were doing an excellent job integrating technology. Those districts that scored the highest on integration of technology into classroom and curriculum had either one full-time staff member on a campus dedicated to that role or a full-time staff member that shared multiple campuses. Those with only one full-time district person to support the entire district or no person dedicated to this role scored the lowest. Almost all (96%) stated that turnaround time on a technology work order was expected to be 5 days or less. Only 28% of districts surveyed felt that they had “Strong” or “Exceptional” professional development around the area of technology integration on their campuses. Those campuses that rated high in professional development also had more staff members dedicated to integration of technology. More people equals better support and integration of technology. While that seems like a no-brainer, digging into the data revealed the a level of disparity between “support” and “integration” in these districts. The ratio of technicians (1 per 999 students) vs that of instructional technology specialists (1 per 1910 students) seems to be the highest contributing factor to this. If the technology doesn’t work, then you can’t integrate it. That seems to be the mantra districts are following with these staffing ratios (we follow a similar ratio at Eanes). However, if districts truly want to utilize these tools for learning, it would appear the next step is figuring out a way to fund that professional support person to help integrate the technology, whether it be at one campus (ideally) or at multiple campuses. Thank you to all the districts that participated in this survey. I’ve conducted a similar internal survey with our own staff and would love another district to do the same so we can compare internal data. If you are interested, comment below and I’ll send you the link. You want me to do what with technology? I’ve received lots of great feedback on my SAMR Swimming Pool analogy (Taking a Dip in the SAMR Swimming Pool). This was an idea originated by Greg Garner’s take on Dr. Ruben Puentedura’s often referred to “SAMR ladder” and then “remixed” if you will by me. Well…it’s time for another remix because after reading that original post I realized something. I focused on the teacher’s role in the pool the entire time and didn’t think about the students as much. So I’ve decided to take another stab at this and was motivated by my recent trip up to Minnesota for iPadpaloozaMN. They asked me to make my SAMR Swimming pool analogy into an entire 50-minute keynote! Talk about pressure! So, here goes. 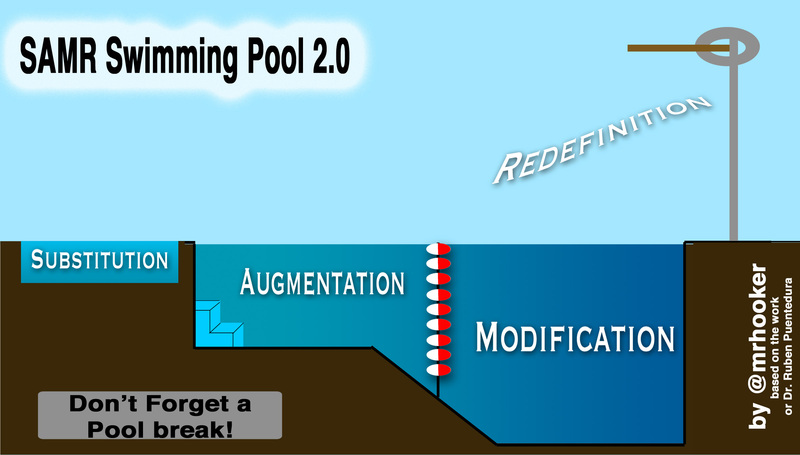 A remix on the SAMR swimming pool with all new analogies and concepts. While parts of the original analogy still apply, it’s not just about what the teacher is doing with technology. Sure , you still need to test water when it comes to tech. Some teachers feel the temperature and decide it’s too cold to enter. Let’s say you feel the pool is comfortable and safe to enter. You step into the pool and your 25 students enter the pool with you. All the sudden you notice something, you are happy that it’s only so deep. 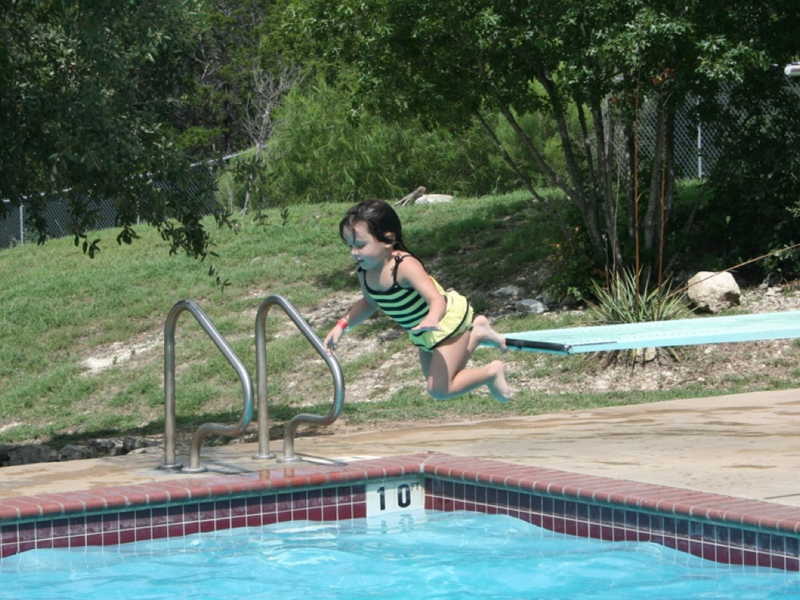 Because it never goes below 1 1/2 feet deep, the kids can safely walk and splash around with the tools. They don’t need log-ins or email addresses. You can control where they go and if any of them are acting up or playing rough, you can just kick them out of the pool (take away their device). A baby pool is fun for really young kids (ages 5 and under) however, older students will quickly get bored in here and want to stretch the boundaries a little. The same thing happens when you take out a device that has access to the entire world and then limit it to just note-taking or e-reading. After some time wading in the baby pool with technology, you feel like you can handle having all your students enter the main pool. They start out around the steps and work their way into waste-deep or even chest-deep water. You give them some freedom to go online (but only to certain sites) and you let them use a couple of different apps to help show they understand the learning objective. Kids can start to be a little more creative here. They can now do headstands under water. They can make a powerpoint presentation. They can play games like water volleyball. They can take a quiz on Socrative. You get the idea. However, as the water is a little deeper, there is also a little more risk. Someone may fall and drown. You quickly realize that the boundary into the deep end of technology is only a little rope with some buoys on it. But, rather than stop and go back to the baby pool with the kids, you decide to let them stretch their wings. Kids can of pretty much any age range that can swim a little (3yo-18yo) can interact in this part of the pool with some monitoring. You notice they enjoy it much more as there is more to do and you enjoy it more because you know that if someone falls down, they can still stand up safely and breathe. Maybe they don’t need to go to the deep end…. Just like the pool, you need breaks from technology or your fingers will get pruny. Every so often you need to take 10 minutes or so to just get out, walk around, eat a snack and reapply sun-screen. Don’t forget that no matter how great all this tech-integration is, we all need breaks from it from time to time. Some of the best brain breaks are just 5-10 minutes of playing charades or doing a silly dance. While they may fight to get back into the pool, plan these into your technology integrated lessons. The students may not notice it at first, but these breaks spur creativity and interaction essential especially when going into the deep end. Eventually, you realize you have now spent quite a bit of time talking about boundaries and rules with your kids. They are all now very efficient at swimming with technology and are aware of the risks that are out there. You decide it’s ok to send them past the rope with a mission or project in mind without many restrictions except the basic pool rules. As a teacher you realize it’s no longer feasible to be in the pool with the kids as that would be incredibly exhausting trying to tell each of them what to do (sage on the stage) so you elect to go into the lifeguard’s chair and keep an eye on things as well as offer motivation (guide on the side). You begin to notice some things very different about this part of the pool. Kids can now swim all the way to the 12-foot bottom and touch. They can hold their breath for 2 minutes without much struggle. They can focus on an assignment much longer even with all the access they now have. They start to invent games like sharks and minnows. They start to create Explain Everything examples of how they understand an objective. They start to get in and out of the pool and dive in off the side (as it’s now deep enough). They quickly transition from paper to device back to paper when needed. As kids need to be pretty efficient swimmers, you wouldn’t want any too young (6 or less) in this part of the pool without a floatie. 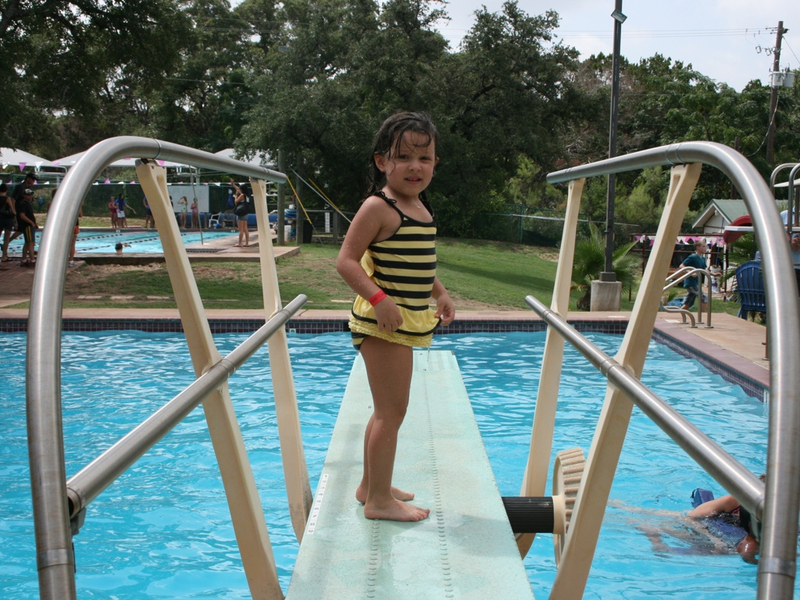 As a lifeguard, you need to make sure they don’t drown and occasionally might need to blow the whistle when they’ve been in the pool too long, but overall the kids are really enjoying the rigor and fun that comes in this part of the pool. 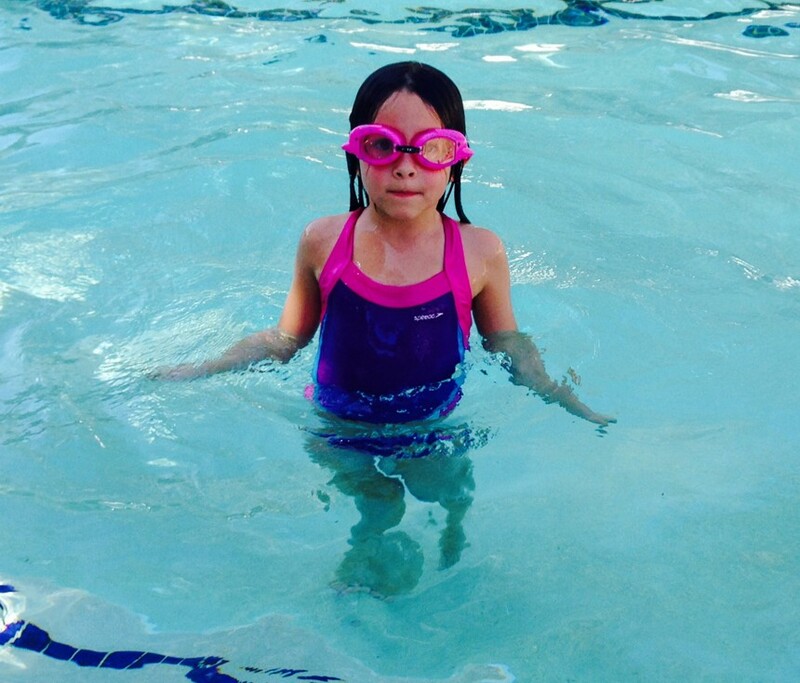 Kids can not only swim completely independently now, they are also starting to do things you didn’t even imagine when you entered the pool. They can stay under water for 20 or 30 minutes at a time without batting an eye. The pool no longer has a bottom. Taking the plunge with technology! coordinated back flips. Not only that, they show their teacher how they collaborated and achieved the dive but also how it identifies mastery in their learning. The students have now become the lifeguards and invent the rules they feel are appropriate for all the swimmers. Your role is that of a swimming or dive coach as well as pool owner. (mentor in the center) You want to make sure the water is clean and the internet is filtered appropriately. You set some limits as too how long kids can swim in the pool before a break but the kids enforce it. Your pool is now one of the most popular places in the city and kids are building their own crazy slides, games, and zip lines that make it an enriching and engaging place to be. None of this was possible when you first stepped foot in that baby pool, but without those initial steps you could have never gotten here. Without letting the kids have some level of autonomy with technology, they would have never gotten to the point where they felt they had some ownership in their learning. Just remember, now that they can jump off that high dive, it doesn’t mean this is where they always have to be. Some days the baby pool is all they can handle. Other days, maybe it’s the shallow end. No matter where they are around your pool you can rest easy in the work you have done to get them at this point. Now go let them swim.